The Cherokee Heritage Center (CHC) is being awarded an $8,500 grant from the Carolyn Watson Rural Oklahoma Community Foundation. The grant will be used to expand CHC’s award-winning Cultural Outreach Program by providing free services within Sequoyah, Cherokee, Adair, LeFlore, Latimer and Haskell counties. The CHC’s Cultural Outreach Program aims to engage and enlighten participants, inspire curiosity and foster learning through hands-on art classes, interactive theatrical storytelling and cultural presentations. 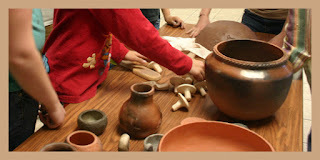 For more information, contact Gina Burnett at 918-456-6007 ext.6144 or by email at gina-burnett@cherokee.org. The Carolyn Watson Rural Oklahoma Community Foundation was founded by the late Carolyn Watson, CEO and chairman of Shamrock Bank N.A., in 1995 to improve the quality of life in rural Oklahoma communities. Through its two grant programs, the organization promotes education, health, literacy, and arts and the humanities in 20 Oklahoma counties. For more information, visit www.ruraloklahoma.org. The 2016 Remember the Removal Bike Ride cyclists rolled onto the Cherokee Nation Courthouse lawn Thursday, officially ending their 950-mile journey retracing the Trail of Tears. 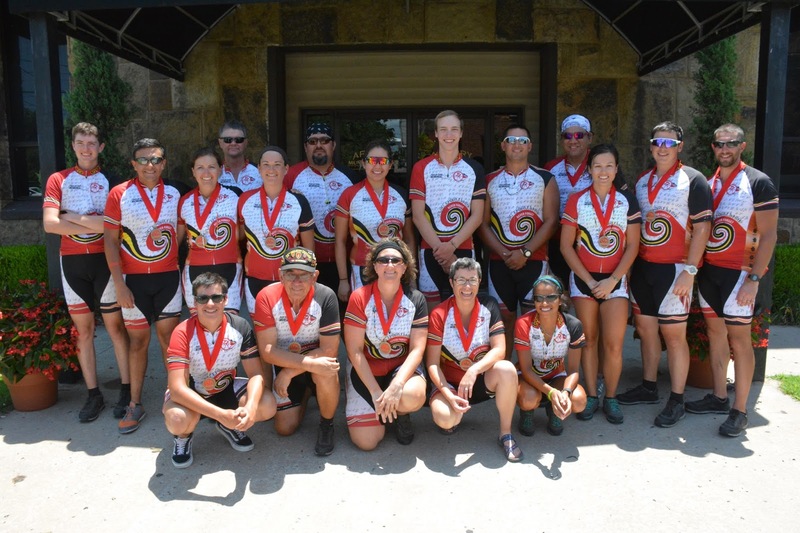 Eight Cherokee Nation cyclists and seven Eastern Band of Cherokee Indian riders traveled seven states starting June 5 to honor their Cherokee ancestors who were forced to make the trek on foot more than 175 years ago. “When I look out at these fine young adults today, I see true leadership. I see a bond that has been formed that is like family, and I see Cherokee values like perseverance and fortitude. We are so proud of these young men and women,” said Principal Chief Bill John Baker. “Over these past three weeks, they have been asked time and time again, ‘Why are you doing this?’ And the answer is always the same, ‘To remember our ancestors and what they accomplished to come to a new land and start over. We will never forget their sacrifices, and we are here today thriving, stronger than ever, because of their strength." The cyclists started in New Echota, Ga., and traveled over three weeks across Tennessee, Kentucky, Illinois, Missouri and Arkansas to arrive in Tahlequah. The cyclists visited various gravesites and historic landmarks significant to the history of the Trail of Tears, including Blythe Ferry in Tennessee, which was the last piece of Cherokee homeland the ancestors stood on before beginning the trek to Indian Territory. Riders visited Mantle Rock in Kentucky, which provided shelter to the ancestors as they waited for the Ohio River to thaw in order to cross safely, and also stopped to pray at Shellsford Cemetery in Tennessee, where Cherokees who died on the route are buried in unmarked graves. The cyclists were awarded medals by Chief Baker and Deputy Chief S. Joe Crittenden and welcomed by Cherokee leaders, family members and friends. The Cherokee Nation started the ride in 1984 as a leadership program and so that Cherokee youth would never forget the hardships of their Cherokee ancestors. Of the estimated 16,000 forced to make the journey to Indian Territory, approximately 4,000 died due to exposure, starvation and disease. For the first time since the program began, participants received three hours of college credit from Northeastern State University after completion of the ride. Also, the U.S. National Park Service awarded a $15,000 grant to the Remember the Removal Bike Ride for cyclists to promote the national parks along the trail. Marisa Cabe, 49, Wolfetown, N.C.
Cole Saunooke, 16, Yellowhill, N.C.
Tom Hill, 57, Yellowhill, N.C.
Tosh Welch, 38, Wolfetown, N.C.
J.D. Arch, 49, Wolfetown, N.C.
Jack Cooper, 15, Birdtown, N.C.
Aaron Hogner, 31, Wolfetown, N.C. The Cherokee Nation also had Cherokee Nation citizens Stacy Leeds, Dean of Law at the University of Arkansas, ride as a historian, Vietnam veteran Sammy Houseberg ride as an ambassador and Kevin Jackson ride as a Cherokee Nation marshal and trainer. Kneeling, from left to right, are 2016 Remember the Removal Bike Ride participants Jack Cooper, Sammy Houseberg, Stacy Leeds, Marisa “Sis” Cabe and Nikki Lewis. Standing, from left to right, are Blayn Workman, Cole Saunooke, Amber Anderson, Tom Hill, Amicia Craig, Tosh Welch, Stephanie Hammer, Glendon VanSandt, Aaron Hogner, J.D. Arch, Kelsey Girty, Kylar Trumbla and Kevin Jackson. The Fourth of July in Sequoyah County features fun and fabulous fireworks throughout the county, and celebrations will be held Saturday, Sunday and Monday. Roland’s July 4th Celebration will be Saturday, July 2. Festivities kick off at 5 p.m. at the Roland Park and ends with a bigger and better fireworks show after dark. The day includes free admission at the Roland pool, water slide, and the Roland Fire Department Slip-N-Slide, and food and craft vendors. Anyone interested in a free booth spot contact Dave Richards at 918-427-7474 or Melissa Lowe at 918-776-0848. Vian’s Fireworks Extravaganza will be Sunday, July 3, at St. John Stadium. Vian’s Favorite Sons and Daughters and Mayor’s Choice awards will be presented around 8 p.m., prior to the fireworks show at dusk. The Vian Community Foundation sponsors the fireworks show and the Favorite Sons and Daughters awards. 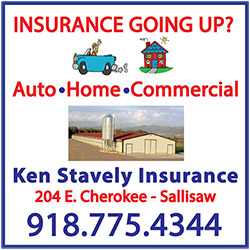 For more information contact Suzanne Sullivan at (918) 773-7362. Webbers Falls is planning an old-fashioned, down-home Fourth of July in the city park on the banks of the Arkansas River. The fireworks show, which begins at dusk, is sponsored and funded by the Webbers Falls Volunteer Fire Department. The festivities begin at 2 p.m. when the First Baptist Church holds their Pig in the Park affair. The event includes inflatables, pony rides, horse-drawn carriage rides and a dunk tank. A designated area is also set aside for individuals to set off their own fireworks. A guest speaker has been invited, and the food will be served at 5 p.m. All activities and the food are free. Lake Tenkiller’s popular fireworks show will also be at dusk on July 4. The Lake Tenkiller Fireworks Extravaganza is held on the south end of Lake Tenkiller near Tenkiller State Park. Organizers say the area between the two big islands affords excellent viewing for boaters. The shoot site is higher in elevation than previous sites and should provide good viewing around parts of the lake, and also as far north as Cookson Bend and Sixshooter. The event is sponsored through donations to the Greater Tenkiller Area Association (GTTA), and George Harris, GTAA board member, said this show has the possibility to be the biggest ever. “All the money we raise goes directly toward the fireworks,” Harris said. Harris said the fireworks show at Lake Tenkiller is always a sight to behold and is a great way for people and families to enjoy a quality display. Sallisaw’s Fourth of July Celebration includes the annual fireworks show which shoots off at dusk, or about 9.30 p.m., Monday at Sallisaw High School. The show is sponsored by Sallisaw Chamber of Commerce members. Marley Abell, fireworks committee chairman, said this year’s show will be the biggest and best ever. Abell said this year’s $12,000 show will include about 8,000 shells. The show will last about 30 minutes. In case of rain, the show will be presented on July 5. Kyle L. Brannon, 21, of Muldrow, one of three persons charged with conspiracy in Sequoyah County District Court, Sallisaw, was arrested Saturday evening for public intoxication. Sheriff Ron Lockhart said Brannon was arrested at about 7 p.m. Saturday after a deputy saw Brannon standing outside his pickup truck, getting a beer out of an ice chest. Brannon was on a county road in the Belfonte area, and his eight-month-old child was in the vehicle, Lockhart said. Lockhart said Brannon was intoxicated. The child was released into the custody of a relative. Brannon and a Muldrow teen, Joey B Gray, 19, and Gray’s mother, Angela Gray, 41, both of Muldrow, also face conspiracy charges in district court in relation to the Sept. 1, 2013, ATV crash that critically injured Christian Mayberry. Mayberry, 17 at the time, suffered a traumatic brain injury. His family has also filed civil lawsuits against Brannon and Gray. The prosecution argues the trio tried to cover up the crash, and left Mayberry lying in a ditch without medical help. Brannon and Angela and Joey Gray were all bound over for trial on the charges at the conclusion of their recent preliminary hearing. Their next court appearance will July 21 when they will be formally arraigned in district court and a trial date may be set. All three are free on bond. Angela Gray also faces child endangerment and furnishing alcohol to a minor charges. The official search for a missing man at Lake Tenkiller has been called off for the time being. “We need more information,” said Sequoyah County Sheriff Ron Lockhart Friday morning. The search for Matthew Scott Fagan began on Tuesday. Fagan was last seen hiking near Cato Creek in the Tenkiller area. Fagan was reportedly hiking with three other individuals and decided to go back to the vehicle. When his friends returned to the vehicle he could not be located. It is possible that Fagan was picked up by a friend. No one has heard from him. The Sequoyah County Sheriff's Department, Sequoyah County Emergency Management, Blackgum Fire and Rescue, and the new Sequoyah County Mounted Search and Rescue Team have participated in the search. The search may resume if new information warrants it. 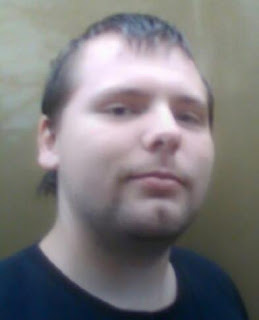 If anyone has information on Fagan or his whereabouts please contact the sheriff’s office at 918-775-9156. Join The Mix 105.1 today as we broadcast live from the Marble City Mayhem. Marble City Mayor Tamara Hibbard said Marble City Mayhem is held in conjunction with the annual fireworks show, which is a long-running, family-oriented community event that people of all ages will enjoy. The fireworks show is held the week before July 4 to avoid conflicting with all other fireworks shows held on July 4 or that weekend. 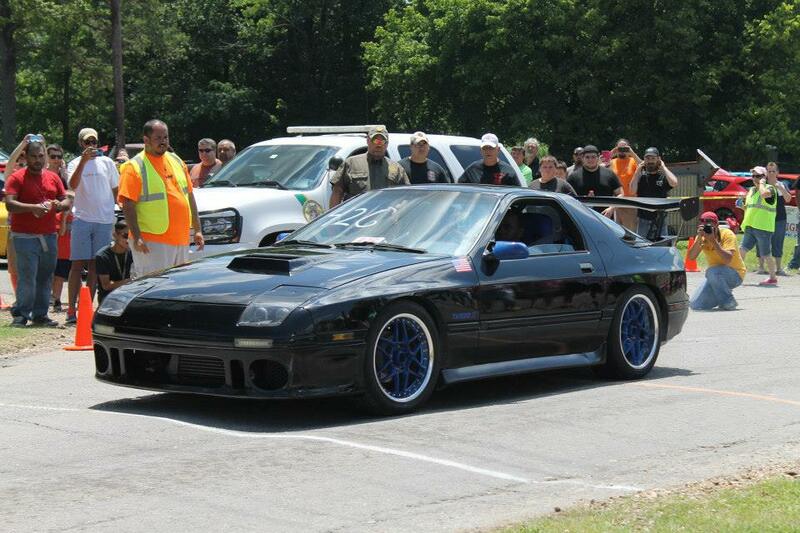 Car enthusiasts will also like the car show, burnout contest and speed challenge that will be held along the town’s main drag. Registration for the car show starts at 9 a.m., and registration for the Speed Challenge and Burnout Contest start at 12:30 p.m. Special custom trophies by Polycor and Sugar Loaf Quarries, t-shirts, and cash prizes will be awarded to the winners. A magic show and balloon artist, inflatables and face painting will also be available for children. Various other games and contests will be running all day. “So bring the whole family, and your lawn chairs, and make a fun day of it,” Hibbard said. Call Hibbard at (918) 315-2583, email marblecityfestival@gmail.com or visit the Marble City Facebook page to pre-register or for more information, or just show up and register on Saturday. Digital design and fabrication will be tickling brain cells at Stanley Tubbs Memorial Library on June 28. That’s when Fab Lab Tulsa will open its doors for students from 9 a.m. to noon and from 1:30 to 4:30 p.m. for everyone else at the Sallisaw library. Fab Lab Tulsa gives students and the community access to the technology and equipment for the digital design and fabrication skills required to solve the problems of the future. 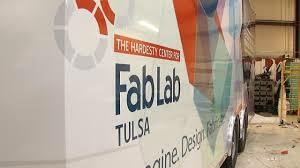 The mobile fab lab is a state-of-the-art, high-tech trailer that is equipped with the most exciting pieces of digital fabrication equipment including laser cutters, a 3-axis mill, 3D printers and electronics soldering irons. Youth participating in the road show will experience hands-on learning of digital fabrication subjects. The lab also includes an open demonstration period when anyone from the community can drop by to explore the world of digital fabrication. The open lab takes place from 1:30 to 4:30 p.m. and is open to all. For more information on the program call the library at 918-775-4481. Stanley Tubbs Memorial Library is a part of the Eastern Oklahoma District Library System. 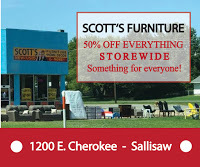 The library is located at 101 E. Cherokee in Sallisaw. Fab Lab Tulsa provides educational programming for schools, afterschool program providers and related interest groups and organizations. Two men were charged Wednesday in Sequoyah County District Court in Sallisaw with burglary and other charges related to burglaries at Falcon Mini Storage in Muldrow. 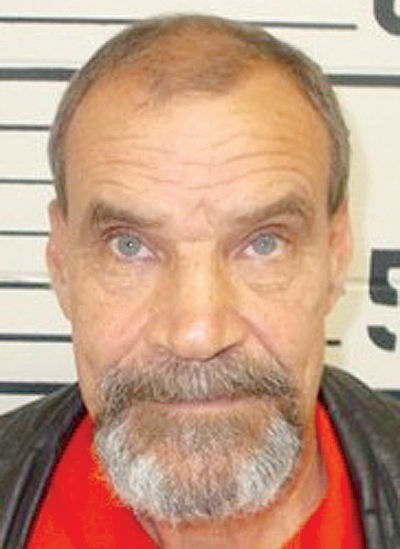 John S. Thornburg Jr., 48, of Muldrow and Roger Bain Crider, 40, of Sallisaw are both charged with three counts of burglary in the second degree, one count of grand larceny and one count of malicious injury to property. Thornburg has a $10,000 bond and was in the Sequoyah County Detention Center in Sallisaw on Thursday. Crider was also being held in the detention center and had no bond set because Sebastian County, Ark., has placed a hold on him. According to the police report filed with the charges, someone cut the locks on 14 units at Falcon Mini Storage on May 10. The investigating police officer recognized the suspect on the surveillance video, which revealed two persons were at the mini storage at about 2:41 a.m. on May 10. The officer interviewed Thornburg, who confessed and implicated Crider. Thornburg told the officer, according to the report, that “they were using drugs and were out of gas and needed money.” The officer then questioned Crider who also admitted to breaking into the mini storage units. Each one of the burglary charges is punishable by up to seven years in prison, the grand larceny charge is punishable by a fine of up to $5,000 and imprisonment for up to one year, and the injury to property charge is punishable by a fine of up to $500 and imprisonment in the county jail for up to one year. Casey’s General Store in Sallisaw will open in late October or early November, a company spokesman said this week. He said the store, for which dirt work has begun, should be open by the end of October if construction goes well. If hampered by weather or other delays, the opening might be put off until early November. The store is listed on Casey’s website as “opening soon.” The address is 1420 W. Cherokee. The store property is at the corner of Cherokee and No Name Street and driveways on both streets will allow access. James said the store could have as many as 30 employees, depending on business. The store hours have not be decided upon yet, and hours vary at different locations depending on business. But Casey’s offers more than fuel. “Food service is big for Casey’s name,” James said. Casey’s signature items include made-from-scratch pizza, made-from-scratch donuts and other bakery goodies, and made-to-order submarine sandwiches that the customer can customize at the sandwich bar. 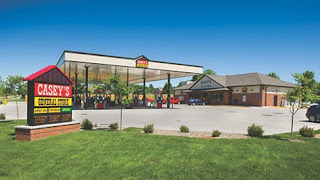 Casey’s also believes in establishing a relationship with each community where it does business, James said. Not only does the company donate to local fundraisers, but it also participates by offering fundraising packages that can be sold by local groups, which keep the profits. “We like to focus on developing a relationship with the community,” James said. Casey’s and its stores contributed more than $4.5 million last year to community and charitable organizations and events. When the time comes for Casey’s General Store in Sallisaw to open, James said a grand opening with specials and deep discounts will be held. Until then, those who are excited about Casey’s new store may go on line and sign up for Casey’s mobile app which allows for ordering online, requesting delivery, receiving coupons and news about promotions and specials, entering sweepstakes and even playing games. 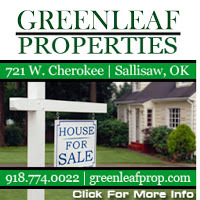 “We are looking forward to being in Sallisaw,” James said. The National Weather Service has issued a heat advisory for Sequoyah County from 11 a.m. to 9 p.m. today. Steve Rutherford, Sequoyah County Emergency Management director, encourages everyone to stay cool and drink plenty of water. Sallisaw officials reminded residents this week about the city codes governing the sale and use of fireworks. Within Sallisaw city limits, personal use of fireworks is limited to between the hours of 10 a.m. and midnight July 3 and 4. Fireworks cannot be sold, discharged nor stands placed in the downtown Sallisaw business district. The district is generally described as lying south of the Missouri Pacific Railroad and North of East Chickasaw Avenue and lying between North Wheeler Avenue and North Elm Street. Personal use of fireworks are permissible by the State of Oklahoma between June 15- July 4 and Jan. 1. Fireworks are governed by Oklahoma State Statute (OS), Title 68 Section 1621 et seq, State Fire Marshall's (OSFM) regulations. Fireworks can be sold between June 15 and July 4 and January 1 of each year in Oklahoma. To sell fireworks one must first obtain a retail license from the Oklahoma State Fire Marshall's (OSFM) Office. Usually the fireworks distributor can assist with this license as they must obtain a wholesale license as well. The regulations for this can be found on their website atwww.ok.gov/fire. 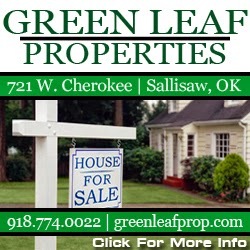 Once the retail license from the OSFM office has been obtained, one can apply to the City of Sallisaw for a firework stand, (booth or tent) permit. This permit is to ensure that the minimum guideline for distance from highways, roadways, combustible material and structures are met. Inspection of the electrical or fuel powered generators are conducted prior to a stand opening to ensure electrical and fire hazards are minimized. Stands must be located in Commercial Zoned property, SCO:102 Article IV District Regulations, and one must obtain permission from the property owner(s). For more information about Sallisaw’s fireworks code, visit the city website or contact the city at 918-775-6241. Democrats, Libertarians, Republicans, and even independents may go to the polls for Oklahoma’s primary election. The primary election will be on Tuesday, and early voting will be available at the county election board office in Sallisaw from 8 a.m. to 6 p.m. Thursday and Friday. Early voting is also available from 9 a.m. to 2 p.m. Saturday. On Tuesday, polls will be open from 7 a.m. to 7 p.m. See the list of the polls at the end of this posting. Sequoyah County Democrats will be choosing a candidate for U.S. Representative District 2 and for county sheriff. Those living in the west end of the county will be voting for County Commissioner for District No. 2. The Democrat candidates for U.S. Representative District 2 are Joshua Harris-Till and Paul E. Schiefelbein. The winner will face the Republican and Libertarian candidates for the same office in the Nov. 8 general election. The Democrat candidates for county sheriff are Ron Lockhart, the incumbent, and Roy L. Coleman. The winner will face the winner of the Republican primary for sheriff. Democrats have opened their primary election for independents also. Voters registered as independents may now vote in the Democrat primaries in Oklahoma. The Republican primary elections are closed to all except voters registered as Republicans. On the Libertarian ballot, two men hope to be a candidate for the U.S. Senate. They are Dax Ewbank and Robert R. Murphy. The winner will face the Republican and Democrat candidates and two independent candidates for the same office in the Nov. 8 general election. Sequoyah County Republicans will choose a candidate for U.S. Representative District 2 and for county sheriff. The U.S. Representative candidates are Jarrin Jackson and Markwayne Mullin, the incumbent. The winner will face the Democrat candidate and an independent candidate for the same office on Nov. 8. The candidates for county sheriff are Greg Peters and Larry Lane. The winner will face off against the winner of the Democrat primary on Nov. 8. The following polling places will be open on Tuesday. The Cherokee Nation recently donated $75,000 to several organizations that ensure school children get snacks and school supplies when they return to school this fall. In northeastern Oklahoma at least 20 organizations participate in backpack programs that send backpacks home with students who are in need of everything from school supplies to nutritious weekend snacks. Sequoyah County churches receiving funding for their programs are Hillside Pentecostal Church, $1,388.64, Lee’s Chapel Assembly of God, $2,307.27, and The BOD Church, $1,132.27. The tribe donated the funds from the Cherokee Nation’s donations and charitable contributions budget. Cherokee Nation Tribal Council members individually delivered the checks totaling $75,200 to the churches, schools and organizations in their areas. Currently, the 20 programs serve 3,643 students, with half of those students being Cherokee Nation citizens. Sallisaw Schools must deal with another budget cut after the State Board of Education approved $38.2 million in mandated cuts last week. The cuts will be to a line item called Support of Public School Activities. Sallisaw Schools Superintendent Scott Farmer said that funding is not for student activities such as sports. “That’s a whole other beast,” he said. This cut will be to programs such as alternative education, professional development, and the parents as teachers program. Sallisaw Schools does not participate much in the parents as teachers program but alternative education, known as the Black Diamond Academy in Sallisaw, and the professional development program, which is essentially continuing education for principals and teachers, will be impacted. Although the budget amounts are not fixed yet, Farmer said he expects about a $10,000 cut to the alternative education and professional development programs. Reduced state revenues will cost the Sallisaw School System about $225,000 for this upcoming fiscal year, which begins July 1. But Farmer explained that, from 2009 to the present, Sallisaw Schools has lost about $1.7 million in funding. “Every year we’ve had reduced funding,” he said. With the line items cuts of Public School Activities, Farmer said he expects funding for the Black Diamond Academy to be cut from $50,000 a year to around $40,000. He explained Sallisaw’s alternative education program is for at-risk students in danger of not obtaining their high school diplomas. The program is limited to 16 students and one teacher. It is held in the Ag Building on the high school campus. Cuts to the professional development program may have to be absorbed by the participants, principals and teachers who are required to take additional training. Sallisaw Schools has absorbed the continuing cuts to its budget by not replacing teachers and staff as they retire or leave. Salaries are traditionally the highest cost to a school system. The duties of those who leave are usually passed on to those who remain, or are eliminated. “The lion’s share of the budget is personnel,” Farmer said. Farmer does not know yet what the school system’s budget will be for the 2016-17 school year. He must wait on the final amount set by the county excise board, which is allocates property taxes. That amount is announced in October. “That allows us to finalize our final budget,” Farmer said. Still, he is already planning for the next school year, which begins Aug. 11. The State Board of Education’s cut to the Public School Activities Fund reduced the 2016 appropriation form $130 million to $92 million for 2017 statewide. A bench warrant was issued, then recalled last week, for a Cherokee County man who is running for the U.S. District 2 Congressional seat as a Democrat. This is the seat currently held by Markwayne Mullin. Paul Edward Schiefelbein, 57, of Tahlequah, failed to appear in Cherokee County District Court on three misdemeanor counts – driving while under the influence of drugs, unlawful possession of drug paraphernalia, and possession of a controlled dangerous substance – filed on Feb. 22. 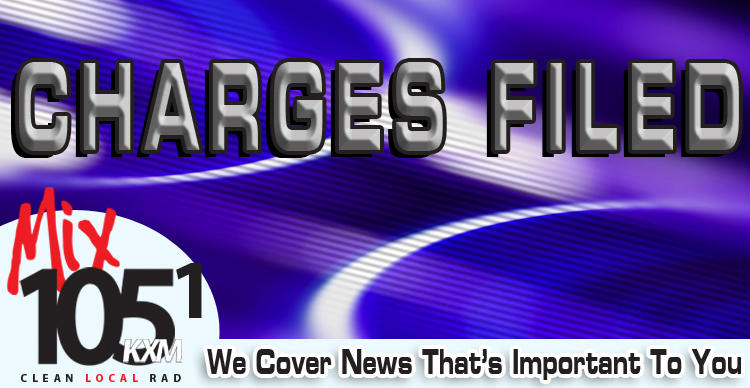 Schiefelbein entered a not guilty plea to the charges on Feb. 23. Court records indicate Schiefelbein was to appear in court on June 6 but failed to appear. District Judge Larry Langley then issued a bench warrant for his arrest. Judge Langley recalled the warrant on June 13 and court records note Schiefelbein had filed a motion for discovery, or for more information on the charges. Court records indicate Schiefelbein was arrested by an Oklahoma Highway Patrol trooper on Jan. 30 on State Highway 82 north of Tahlequah. According to the charges, Schiefelbein was driving a 2008 Pontiac while under the influence of intoxicating substance. 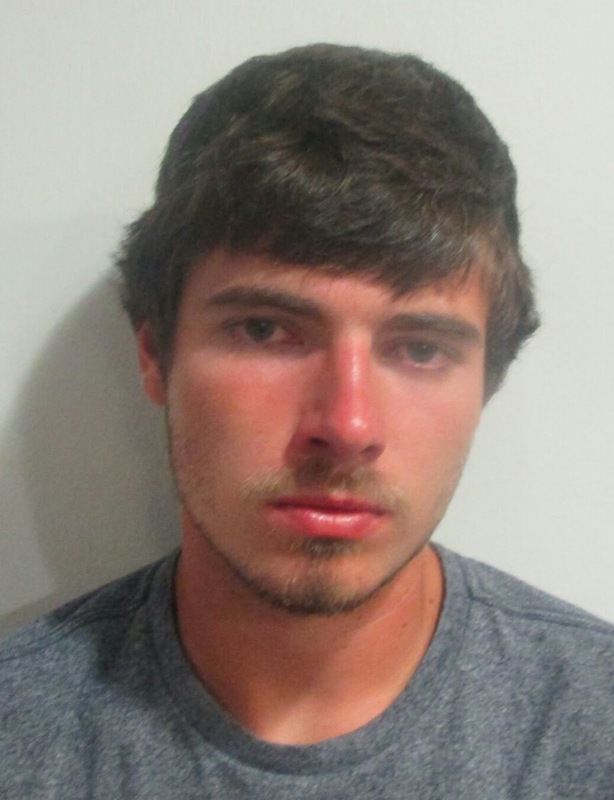 Schiefelbein had marijuana and a smoking pipe in his possession, the charges allege. Schiefelbein is one of two Democratic candidates on the ballot in the June 28 primary election. Joshua Harris-Till is also running for the District 2 Congressional seat. The Republican ballot for the June 28 primary election includes the incumbent, Markwayne Mullin, and challenger Jarrin Jackson. One Independent candidate, John McCarthy, has filed for the seat, and his name will be on the November general election ballot. injuries are the leading cause of death for Americans ages 1 to 44, reports the U.S. Department of Health and Human Services. The good news is everyone can get involved to help prevent injuries. During National Safety Month members of the Sequoyah Wellness Partnership are calling upon the community to help reduce the risk of injuries. This June, the public is encouraged to learn more about important safety issues like proper prescription use, transportation safety, and slips, trips, and falls. Prescription Use: Store medicines in a cool, dry place. Medicines can break down quickly in places that are damp and warm, like the kitchen or bathroom. Keep medicines away from children and pets. A locked box, cabinet, or closet is best. Get rid of expired (out-of-date) medicines and medicines you no longer use. Many police agencies, like the Sallisaw Police Department, have set up disposal units at their agencies to safely discard medications. At the Sallisaw PD, the unit is in the lobby, which is open 24 hours a day. Check with your local law enforcement agency to find out of this service is offered. Transportation safety: Doing other activities while driving — like texting or eating — distracts you and increases your chance of crashing. Almost 1 in 5 crashes (17 percent) that injure someone involved distracted driving. If a distraction is at hand, pull off the road and stop until the distraction is dismissed. It is illegal to text and drive in Oklahoma, as of November 2015. Slips, trips, and falls: One in 3 older adults falls each year. Many falls lead to broken bones and other health problems. Here are just a few tips from the U.S. Department of Health and Human Services on making life safer for older persons. If you have to walk around furniture, ask someone to move the furniture out of your path. Remove throw rugs or use double-sided tape or a nonslip backing so the rug won’t slip. Pick up things, like paper and books, off the floor. If you have to walk around or over electrical and extension cords and wires, coil or tape them next to the wall so you can’t trip over them. If needed, have an electrician put in another outlet. These are just a few of the tips on living a safe life. For more information on safe living visit healthfinder.gov. Time is almost up for registered voters in Sequoyah County to apply for absentee ballots to be mailed to them for the June 28 primary election, Sequoyah County Election Board Secretary Cindy Osborn said this week. 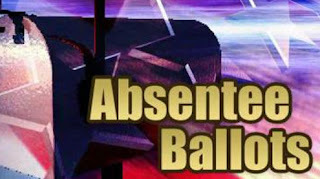 Applications for absentee ballots must be received by the county election board no later than 5 p.m. Wednesday to be processed in time for the election. -Registered voters who are physically incapacitated and voters who care for physically incapacitated persons who cannot be left unattended may apply for absentee ballots only by mail, fax, e-mail, online or via an agent who is at least 16 years of age and who is not employed by or related within the third degree of consanguinity or affinity to any person whose name appears on the ballot. -Registered voters who are confined to nursing homes in the county may apply by mail, by fax, by e-mail, online or via an agent who is at least 16 years of age and who is not employed by or related within the third degree of consanguinity or affinity to any person whose name appears on the ballot. 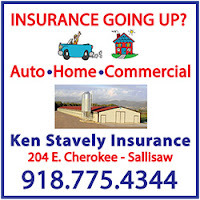 -Military personnel, residents of Sequoyah County living overseas, and the spouses and dependents of each group may apply only by mail, by fax, or by e-mail. For more information and instructions, military and overseas voters may visit the Federal Voting Assistance Program website: www.fvap.gov/oklahoma. For more information on absentee voting, contact the county election board at 110 E. Creek Ave., Sallisaw, Okla. 74955. The telephone number is 918-775-2614. The county election board’s fax number is 918-775-1205.